The crisis rocking the Ladoke Akintola University of Technology Ogbomoso in Oyo state may soon come to an end following the meeting of teams from Oyo and Osun state today 2o October, 2016. 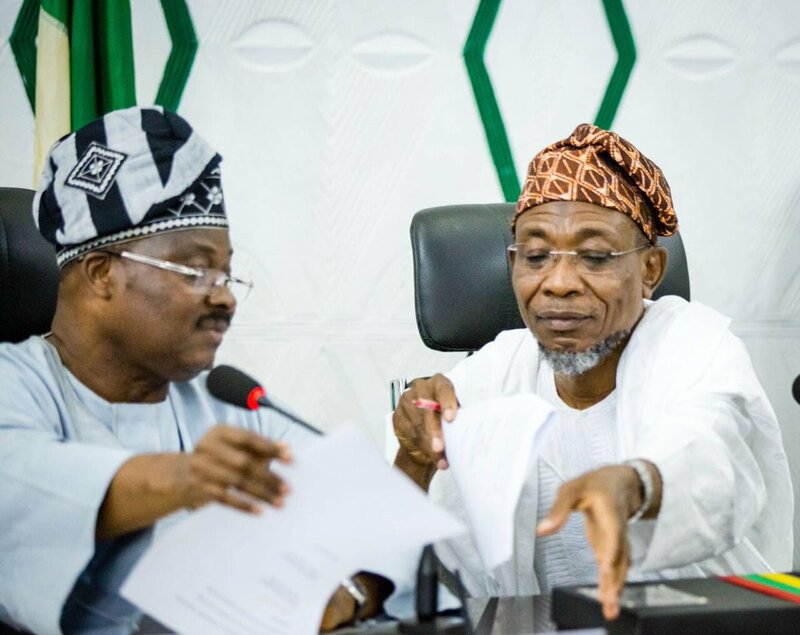 The governors of both states, Abiola Ajimobi (Oyo) and Rauf Aregbesola (Osun) led both teams to a meeting that is expected to trash out the issues concerning institution. Also present were top government officials and management of the institution. Due to the peculiar ownership situation of the institution, crises are more regular there and elsewhere as lecturers and non-teaching staff of the institution are regularly owed and, in turn, frequently go on strike. This sad development has also extended to the institution’s teaching hospital located in Osogbo the capital of Osun state as doctors and other cadres of health professionals are often at loggerheads with the hospital management leading to numerous episodes of strike action. We are joining the students, staff and parents of the institution who all patiently awaiting the resolution reached at the end of the meeting as promised by the Oyo state government. I’m really curious to know the content of the documents the government signed with so much seriousness on their faces.